EU member country citizens have basic data privacy rights. And iVPN sees the pending abolition of the EU Data Retention Directive as a step in the right direction. But the real question is whether EU citizens can really be safe from internet and other forms of surveillance if the European Court of Justice rules to kill the directive. Privacy advocates and organizations like Digital Rights Ireland have been fighting the directive since 2006. If it is abolished, it will be a great victory for privacy activists. The governments of Germany, Sweden and Romania will also be justified by this. They refused to follow the directive and were fined for it. But this will prove that their ruling, despite the pressure and punishment, was just after all. But abolishing the Data Retention Directive may not be the victory that it seems. The directive has been deemed to allow authorities too much leeway in terms of gathering personal data about EU citizens. This must be changed to protect their private identities. But the directive will stay in place until an alternative directive is written up. We can only hope that the new directive will respect basic privacy rights and freedoms of expression. The new directive will also need to limit how people’s data can be used if this change is going to be a real victory for privacy advocates. 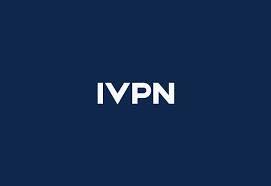 Meantime, iVPN recommends that EU citizens do not yet let go of their VPN protection. The data collection methods are not in question, and ISPs are still instructed to collect user data. This is not likely to change even if a new directive is proposed. EU citizens still need a top VPN service to help them keep their data and activities private. Mass surveillance and data retention will go on, by the looks of it. And people need to stay alert to the fact that any data that is gathered and stored poses a potential risk. It can be manipulated and abused by anyone who gets their hands on it. The only way to stay safe is to stay behind a reliable VPN.